Notiser - Notes. Traces of an Eocambrian orogeny in Southern Norway. 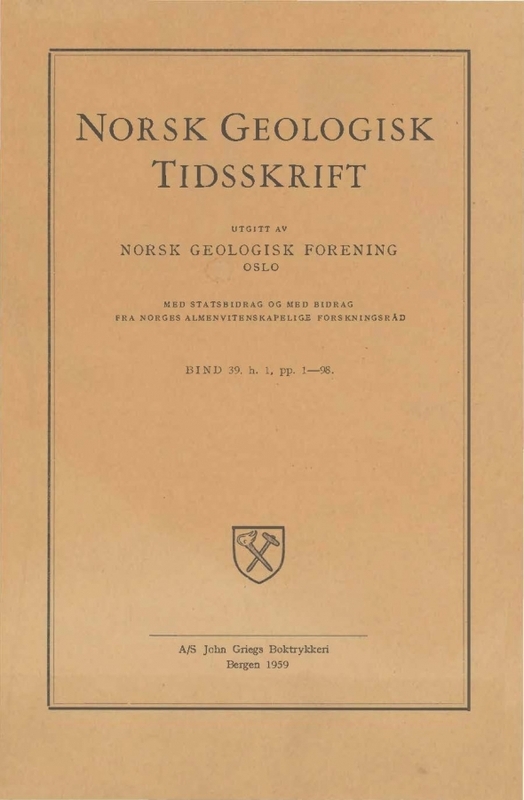 During a trip to the Mjøsa District, Southern Norway, together with Prof. F. Geukens (Louvain, Belgium), studies were made on the boulder content of the Moelv Conglomerate (tillite) in the railway sections south of Moelv. Prof. Geukens suggested that some of the boulders of Biri Limestone, which are locally abundant in the conglomerate, were metamorphosed before the formation of the Moelv Conglomerate. Later the present author made some detailed studies which confirm Prof. Geukens' suggestion.